With the latest flagship phones from Apple and Samsung priced at $1,000 and up, consumers are looking for ways to save. Consumer Reports offers some ideas you may not have considered before. 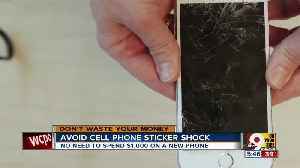 With the latest flagship phones from apple and samsung priced at a thousand dollars and up, consumers are looking for ways to save. Leah linschied and consumer reports offer some ideas you may not have considered before. Anyone who's shopped for a new smartphone recently knows they're not cheap. Cr's top-rated phones are samsung's galaxy note9 for a thousand dollars, apple's iphone xs max for 11-hundred and xs for a thousand. But the experts at consumer reports know not everyone's running out to buy the latest and greatest. Bree fowler, consumer reports tech editor "there's nothing cheaper than keeping the phone you already have." Start off by giving your phone a tune-up. First, make sure the operating system is updated. That can help speed up a sluggish phone. You can also swap the battery if it's not holding a charge. A new one can cost you less than 100-dollars. Also, if your screen has seen better days, you can replace one on many older phones for about 150-dollars or less. But, if your old phone is beyond saving, there are ways to pay less when buying a new one. Bree fowler) "you should think about phones like you think about cars. If you wait a year and you buy last year's model, then you're going to save a lot of money." Cr says since smartphones are evolving more slowly than they used to with each new generation, you can get an even better deal by buying one that's two years old. Bree fowler) "samsung and apple do sell the vast majority of phones out there, but they're not the only players in the game." Lg, sony, google and oneplus all have recommended models in consumer reports' ratings. Bree fowler) "our readers really like refurbished smartphones." It's a problem every one of us has felt. KDKA's Jon Delano reports. With the latest flagship phones from Apple and Samsung priced at $1,000 and up, consumers are looking for ways to save. Consumer Reports offers some ideas you may not have considered before. New models are shinier and add glamorous new features, but there's nothing cheaper than keeping the phone you already have. A few upgrades can have it working as good as new. 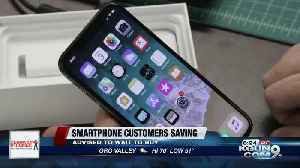 With the latest flagship phones from Apple and Samsung priced at a thousand dollars and up, consumers are looking for ways to save. 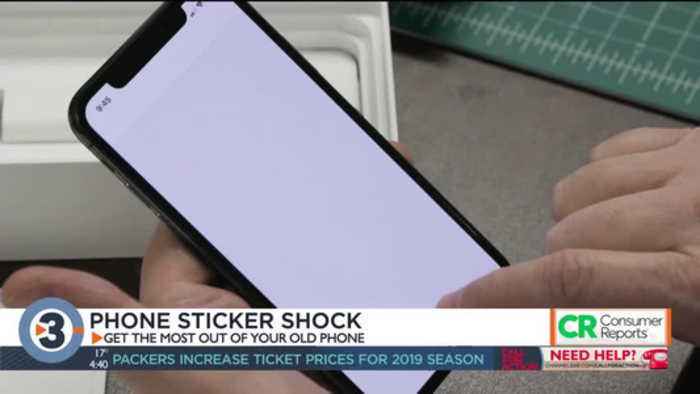 Consumer Reports offers some ideas you may not have considered..
Consumers are looking for ways to save on smartphones.